My lawn is varied in shape and has lots of curved borders, the lawn wraps around the house with a few areas that are narrow and will certainly be a challenge for the Automower, but on the plus side I do not have obstacles in the lawn such as trees. Time to change the cutting blades on the Automower 315, they were not too blunt to be honest, but the new blades were very sharp as you will see. Poor Shaun copped it when Larry ran over his leg and shredded it. 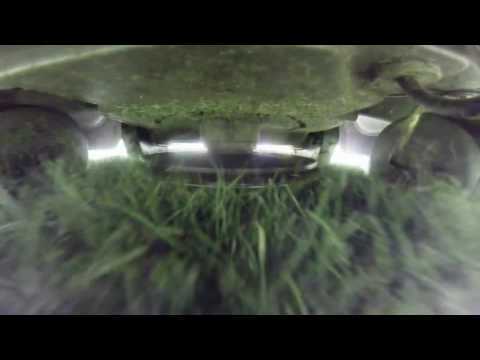 Getting up close and personal with the razor-sharp blades of the Husqvarna Automower 315 and the blades of grass that are going to get the chop. With a slow-motion action of the grass clippings being slashed flailing around under the mower - terrifying stuff if you are a blade of grass. 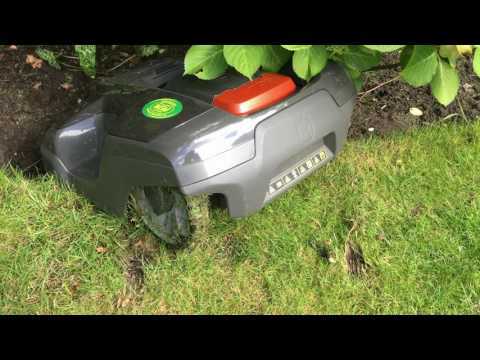 This video shows what you can do to disguise and dress up your Automower to make it grab even more attention as it carries out it's business in the garden. 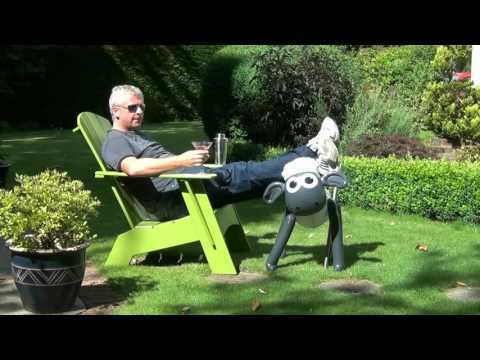 I would be sitting in the house when Shaun the Sheep would catch my eye through the window, or in the reflection of my computer screen. 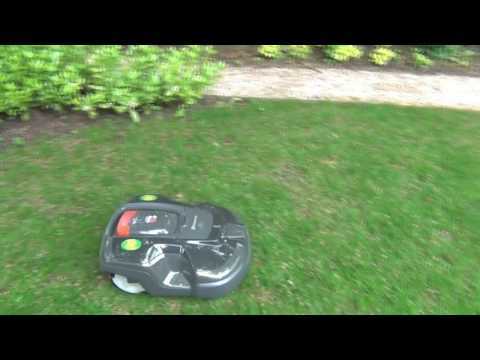 2 things you can do on a Sunday when you don't have to cut the grass because your Automower is taking care of the grass for you. 1 - Mountain Biking and 2 - Relax in the garden and have a cocktail and nibbles. He's crashed, he's crashed, he's crashed! 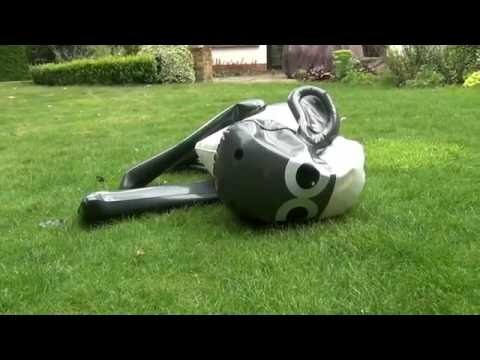 This short video was shot after I found Larry, our Automower 315 had crashed off the edge of the lawn and down the mini cliff into the border, poor little chap must have been there all night. It had been raining pretty hard in the evening the night before and it looks like he had a bit of wheel slippage and off he went. 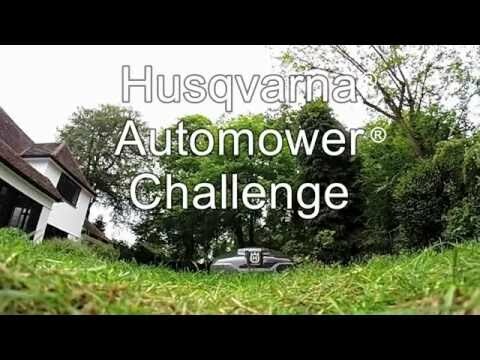 In this video we look at the general improvement in the condition of the grass since the Husqvarna Automower 315 was installed, what happens to the grass clippings as they are not collected, adjusting the cutting height of the blades, how the mower charges itself, security features that alert you to unauthorised lifting or attempted theft and the security settings that you can change on the Automower. Got home to fine Larry, my Husqvarna Automower 315 being bone idle and not doing anything when he should be. Further investigation revealed that there was "NO LOOP SIGNAL", I had to trace the break in the loop cable and carry out the repair. Simple job as long as you find the break in the cable! 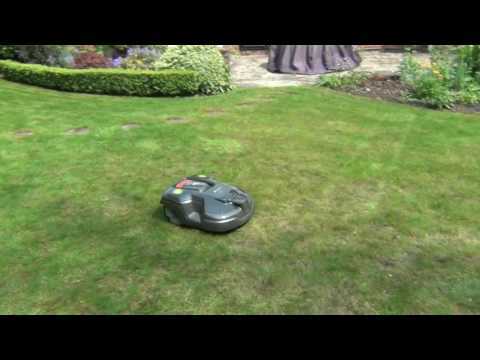 After having my new Automower 315 for just a few days I had to fly off on a business trip for 2 weeks and leave the mower to do it's own thing. In this video you can see how well the Automower coped with the grass and the edging that I still had to finish by hand when I got back (not a big deal). Also the Automower meets the motor mower! 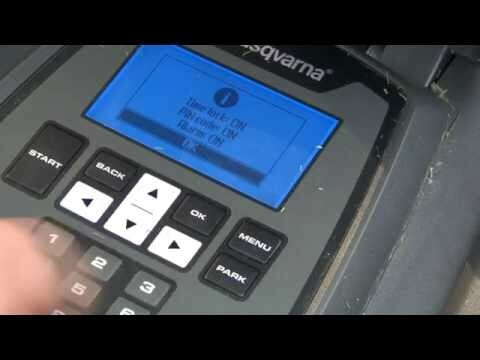 The installation by Winchester Garden Machinery and a representative of Husqvarna UK was very quick and efficient, the setup was very easy and straightforward and the Automower and up and running in no time, doing its job!